DBC 1.0.13 with many balancing in abilities menu and with a surprise! Kaio’s (King Kai’s) Planets gravity works as it should and you wont die! Ki attacks now cost more. A full abilities balancing took place with increased costs. So now dbc mobs damage your ki bar and if you run out of ki you can die. Time to time you get 1 ki too. BP calculation redone. Now your BP can reach 1 billion BP too. And the 1.4.7 links work now. The JBRA had a bug (that those who didnt had my new mod Years C where teen sized) so in the JBRA 1.1.6 it is fixed and without the years C it will work fine with DBC or NarutoC. Sorry for that. I present you my new Mod! The Years C! This mod is about that the time passes and every player is getting older. There is a built in calendar with new year layout and original names. One year in Minecraft is now 46 days. And a year has 4 months with 13 to 9 days. A week has 5 days and every weekday has a name too. From this calculated you have a function to see your own Minecraft Age and a “how many years stand for a Minecraft years” equialent to see how old are you. If you get to a point where you are very old you might die because of that BUT you can Rebirth! That costs an Emerald thou. You start as a Child and you will grow up in a Minecraft Year that is 18 “whatif” calculated years. If you use my JBRA Mod too that you will be actually smaller like a child and you will grow up in real time. You will have the viewpoint from a child too! But you can you the mod without JBRA and then you wont look smaller but those who have JBRA will see you smaller even then. Kaio’s (King Kai’s) Planets gravity is now BP based! The Sagas key has been removed and it is now in the J key’s menu. And you should be able to see your own BP now too. With now a real hair system but only with JBRA, You can use it without JBRA too its just you wont see the hairs. Hairs are pernament but you can cut them if you ask Kami at the lookout. The hair items are removed. and with this you can use hairs and scouters finally together!!! Bug fixes caused by sounds. Xray glitch workaround has been made. Fixed some Spanish and Portuguese translation problems. Naruto C 0.2.2 still nothing new… sorry bout that but DBC had many features worked on. and with forge build 684. Fixed with JBRA an outfit glitch. Updated to MC 1.5.2 with forge build 684. I changed the version counter letters to numbers. Not everyone knew the meaning of those letters so it will be easier with numbers from now on. Experimental Outfit Damage system. It will cause problems with my HD texture packs as its not updated yet. Outfit glitch with my Naruto C mod is fixed too! Many Balancing in Using the Ki attacks. You cannot charge while Firing ki attacks. Colored Stones are indestructible for testing. Added new items. Tech Chips with Tier 1, 2 and 3. Scouters at Tier 1 will explode if it scans 20k BP or more. Tier 2 scouters scan limit is 600k BP and for Tier 3 it wont explode. 3 new outfit parts. Goten Jacket and sweater, Basic Turtle School Jacket, and Martial artists Shoes. And a few changes in recipes. Many new things added with this update. I present you Dragon Block C 1.0i! Now with an RPG system. Do you want to be faster, stronger, more powerful? Now you can select what to upgrade! Be Custom, Be Special! A New Mob Kami (God). Pressing J will bring up the abilities menu. Now there are no ki attack items. If you have learned a few attacks then you must have a hair or scouter. Then with middle click you can select your ki attacks. you will see it on the right side of the screen. and when looking down you will see info too. there is a new health bar to the right also. If it reaches 0 you will start loosing minecraft health. Every DBC mob will attack your new health and minecraft health too. Naruto C 0.2a has nothing new! only for Forge build 666 compatibility. 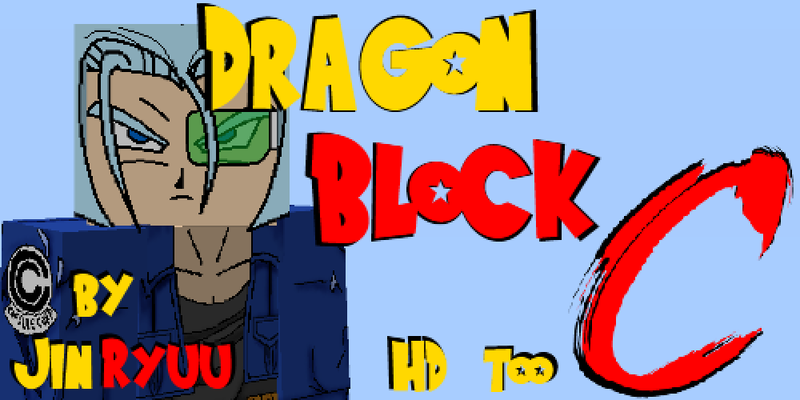 Dragon Block C 1.0h is released Now With 2 New Saiyan Hairs! JBRA 1.1a has fixed the problems. Vegeta and Gohan. They might change in future release and gohan hair is the older one not the younger one. Naruto C 0.2! Tweaked jutsu system, 18 new outfits from konoha and an akatsuki outfit. Naruto C 0.2 is out! Jutsu system little tweaked. Now you can start pressing the jutsu keys without first right clicking and the older method is still there if you liked that more. When you pressed the right combination a chat message will tell you what jutsu you will make and its chakra cost. The recipes for the outfits are the following. 1. Make the basic ninja outfit. That is the base for all outfits. 2. in crafting table put the basic ninja outfit in the middle and put the specific color around it. for example you put in the middle the flak jacket and around it red dyes from the rose then you will get the young sasuke’s shirt. If you want the Shippuden sasuke’s shirt then put the young sasuke’s shirt in the middle of the crafting table and put around again the red dye from the roses and you will get the shippuden sasuke’s shirt. 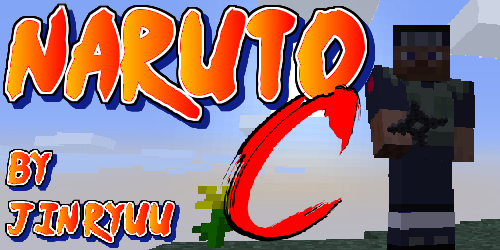 Naruto C now with Jutsu system and sounds! An early Jutsu system has been added and Sounds! And fixed some Multiplayer issues. Dragon Block C 1.0f is ready for download. New Stony Biome for Saibaimans to spawn in. Saibaimans disappear bug should be fixed. Some flying and shooting bugs fixed. And a few minor fixes too. 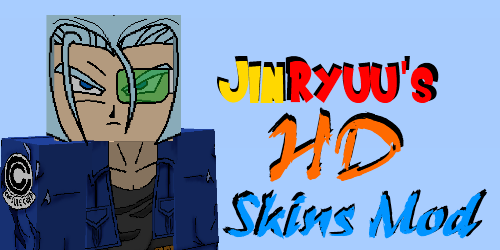 I release my HD Skins Mod! Finally i thout why not. I release my HD skins mod. My sites link will be on Planet Minecraft and in Youtube videos available too. You can find the Mod here. I know that the site has no design. It will have! Its just an early version.